Prime Minister Netanyahu’s restrained agreement to construct homes in east Jerusalem is essential to the City's economic prosperity, but his intent to disarm Iran may be his Achilles heel as he intellectually balances worldwide condemnation of his domestic decisions. His restraint may just be the 'eikev' in Ya'akov meaning the 'heel' in the name 'Jacob' before Jacob bestowed the name Israel on his nation state. Against the neighborhood backdrop in Egypt, Syria and Lebanon Israel’s relentless economic development demands release of more land in 'sensitive' districts. Israel's history is littered with Kings who danced the wrong tune. Now Bibi's dance, to masters with deep pockets, is composed in response to the dominant Iranian tune of fundamental Islam intent on claiming Israel’s scalp as the crown of its insurgency. Enemies in the neighborhood would prefer the theater of war be directed inside Israel’s borders, whilst naysayers, who want to divide Jerusalem and Israel at the expense of prosperity, influence the global lobby already biased by Arabian oil money. The only reasonable tune for a Prime Minister's dance would be one that promotes and permits building, especially in areas that would correct past planning errors imposed by long forgotten politicians in the Capital city. Housing for its ballooning immigrant population, hotels to accommodate growth in tourism and infrastructure including roads, trains, airports and seaports. This financial opportunity is inherently ethical, because the GDP contribution from construction and tourism also demands a desired proportion of unskilled labor from the widest human resource footprint. Jerusalem could be on a track to become a world city (see www.Jerusalem5800.com), the principal hub of tourism to the future Middle East. Its metropolitan population is expected to double by 2030 and triple by 2050. Jerusalem has a new light rail and in a few years the train from Tel Aviv will shuttle people to and from the ancient city. The new convention and business district is approved, construction has commenced and government is coordinated to attract and accommodate tourists in Jerusalem’s center. Muslim, Christian and Jewish constituents will benefit as a result and no amount of political rhetoric will surpass the fundamental necessity to eradicate poverty and through it the insurgencies that thrive. Throughout history the tide of Israel’s opposition ebbed and flowed, but we are living in remarkable times when the power of the opposition has been substantially reduced. Israel can finally stand firmly against the waves that pound against it. The more it sinks its roots in buildings, construction, substantial infrastructure and ingenious technologies that spread tentacles the world over, the more Israel becomes a stable anchor, an independent force and a recognized beacon. This is not a time for tenuous gestures. Bibi must identify the importance of this moment to act dominantly and cohesively to prioritize Jerusalem and Israel's economic future over the impending doomsday rhetoric of the Iranian lunatic lobby. Jerusalem is seriously affected by east-west politics that have crippled its development over the past 65 years. Prime Minister Netanyahu must decide whether he will dance to the tune of domestic policy favoring Jerusalem or the foreign threat. With the Jerusalem Mayoral election looming and a probable change of leadership, we can only hope that Bibi and his puppet Mayor will dance the right tune and if he doesn’t that his coalition will be cut short and a new Prime Minister elected to dance the Kings tune. When Israel faced the Assyrians, King Hezekiah was worried his primary Minister Shebna, who favored an alliance with Egypt against Assyria would turn his followers against the King and Israel would be defeated. The Assyrians killed Shebna and food poisoning wiped out 185,000 in the Assyrian camp. They returned home before they attacked Israel. King Hezekiah continued his task building Jerusalem. Notwithstanding the myriad subversive insurgent agendas Jews of the world may possess from time-to-time – as anyone will attest, “three Jews, four opinions” – Israel the Jewish nation, not the state, has one preeminent insurgency. This insurgency envisages a world peace that also accommodates Jewish independence and an unrestricted ability to celebrate its culture. However, Israel the Jewish state, a concept its most fundamental opponents can never accept, highlights their bigoted insurgency and at the opposite extreme, Jewish orthodoxy’s response: Rebuild Jerusalem, assemble the righteous and allow Jerusalem to blossom as a city on a hill whose rays illuminate the darkness of so many, including the inhabitants of its neighboring Middle Eastern capital cities still yearning to breathe free. Winston Churchill said "God deals with the nations as they deal with the Jews. Of every fifty officers who come back from the Middle East only one speaks favorably of the Jews. That merely convinces me that I am right." For many debunking the Ancient Hebrew Bible is easy, choose any theory; the Egyptian record does not support Israel’s story; natural events led to the destruction of Egypt; Moses wrote the Bible for the Jews, he did not receive it from God; the Bible is a myth pieced together by 4 authors or any of a myriad of others. More archaeologists have written of their excavations in Egypt than any other place on earth and their record has infused the biases of historical writings. Notwithstanding their quality of archaeology it was construed in an environment that preferred to debunk the historical and Biblical record that Israel left Egypt. About the Jews who left Spain, Russia or Germany you won’t find much of a societal salute written by inspired locals in their records either. Given this context, it’s no surprise the archaeological fraternity fell victim to the character described by Churchill. False supposition follows a flawed premise, in this case the ancient Egyptian anti-Semitic view that opposed Israel the shepherd nation, who herded, slaughtered and ate the Egyptians sheep and cattle gods. After 210 years Israel rose from their exile and left Egypt as it suffered remarkable blows. 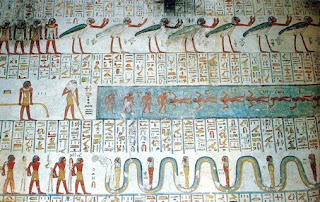 These were recorded in context in the Bible and separately the Ipuwer papyrus, the 'drowned soldiers on the 10th hour' mural in Amenhotep II, Ramses VI and other tombs in the Valley of Kings. Israel's time in Egypt was relatively short and was described in the mystical realm in the record of Pharaoh's. 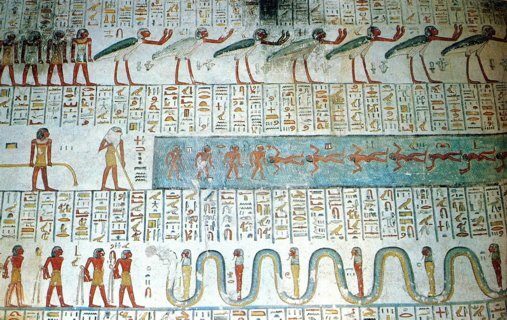 Regardless, the complete interpretation and chronology of the hieroglyphic record is not yet agreed or understood. Nevertheless, references to Israel do exist, but many are overlooked or misinterpreted. It requires a special archaeologist to reverse the tide of inaccurate interpretation to become 'one of fifty' being sufficiently independent, strong willed, open minded and bold enough to see and retell the story of Israel coded in the existing record. I have met some like this who studied and outlined certain facts, but their voices against the backdrop of 200 years of archaeology that has been insensitive to the Jewish plight are barely audible. Hieroglyphic is a tough language to interpret and there aren't many who will support the rare scholar that contradicts others who allege definitive knowledge. One example is the granite naos in Ismailia’s museum which speaks of “evil on the earth...and...man nor god could see faces...and...Pi-Kharoti” the latter compared to the biblical Pi-HaKirot, where the splitting of the sea occurred. Another is the Merneptah stele that specifically mentions “Israel”, a third is the Sehel Stele that speaks of Djoser and the 7 year famine. Finally the unique tomb of Djoser and its 11 additional burial chambers may have been built to transport the souls of Josephs 11 brothers. This author does not pursue an archaeological validation of Biblical events, rather that readers will more carefully consider historical conclusions tainted by prejudicial biases from the archaeological fraternity. There is also the matter of the pre-Jewish Bible characters and how they fit into the Egyptian record. Ten generations between Adam and Noah each larger than life characters who lived on average 6 or 7 times longer than present day lifespans. Then came Noah’s three sons, the Bible names as Shem, Ham and Yafeth, each inheriting a region of Mesopotamia’s fertile crescent that stretched from Egypt to Iran. Many of them the likely Old Kingdom pharaohs that still intrigue the minds of so many yet most fail to connect and overlay the Biblical record with the rich, but still confounding Egyptian record. Initially Winston Churchill stood alone to oppose Hitler. His motivations to defend the values imbued in the western world ideal were justified in his brave decisions and actions. In many ways the 50:1 anti-Israel bias he highlighted is still reflected in the attitude of nations today, the United Nations being a perfect example of this continuum. Their apparently unbiased representation hears, judges and passes more restrictive resolutions about Israel than any other nation on earth. Perhaps they too should reconsider that the Biblical record Israel has fastidiously maintained for 3825 years is true and the most complete record of all. Learning out the extreme bias of archaeologists or people who claim to be Bible scholars because they once studied a foreign language interpretation is a precautionary note to readers. Blink then blink again, sometimes that's all it takes to adjust one's perspective and see a different more sensitive reality often cloaked by the veil of an 'expert'. The current negotiation between Israel and the Palestinian Authority is a struggle close to the heart of many. In such a heartfelt situation would you prefer your nemesis to say; “you can’t have it” or “if it’s true you can have it”? Hope springs eternal, but questions remain. The first statement implies its adamant speaker may have authority to promise the outcome of the second. However, authority may not be required “if it’s true”. Most would agree, President Obama’s insistence and Secretary of State Kerry’s persistence, are the primary instigators of the current negotiating round. Although the prospects of peace are always tantalizing, the likelihood they will raise unrealistic hope and stir long held tension is a real and present danger. The proposed two state solution is an imposition on Israel’s 65 year peace process and does not necessarily address the sensitivities of the people and regimes required to actually make and maintain peace. Beside settlements, recognition of Israel, Gaza and other significant issues, arguably the heart and soul of the conflict is reflected in the microcosm of Jerusalem’s Temple Mount. The complexity of Jerusalem’s Temple Mount appears insurmountable because demand to possess the world’s most contested rock will in all likelihood continue unabated until a peaceful solution emerges from it. The bedrock that is Mount Moriah stretches from the south at the base of the Kidron Valley floor to the Temple Mount at the head on which the Dome of the Rock and Al Aqsa mosque are built. No amount of coercion can stem the tides of Jewish or Muslim demands for exclusive access to and possession of the Temple Mount on which many Jews and people of other faiths expect the Third Temple will be built. Jews are a self-described “stiffnecked” people so it’s no surprise their dogmatic attitude toward this location where the third Temple will be built is fervent especially amongst the orthodox. Likewise, history demonstrates the frazzled fever pitch quickly rises to a pan Islamic crescendo each time Jews make a significant approach toward the Temple Mount. Peace between Israel and people living under the Palestinian Authority is therefore dependent on possession and occupation on this monolith. 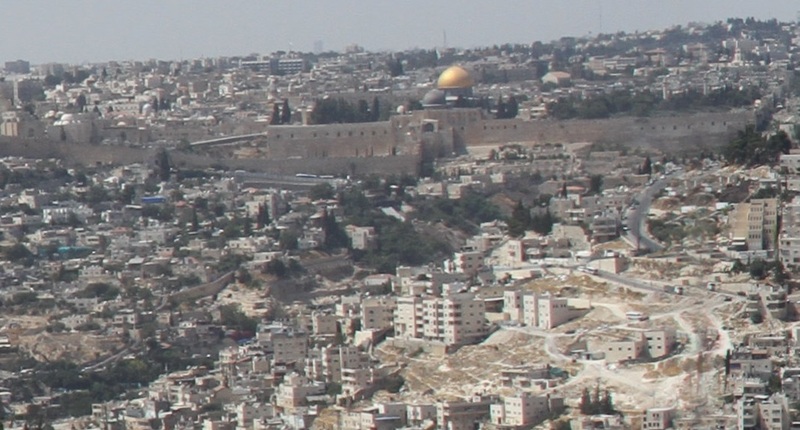 The prospects of sharing The Rock are difficult because the traditional location associated with the Jewish Temple Holy of Holies is also the Dome of the Rock - a Muslim shrine built in 691 CE. Notwithstanding the importance of this location, by all accounts Jewish prayer must always be directed toward the Holy of Holies, the place on Mount Moriah where the Ark of the Covenant is thought to have once been located. 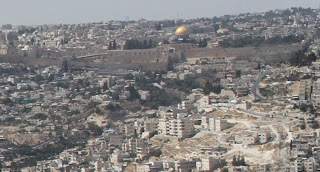 If its location was once at the Dome of the Rock, Jews praying at the Temple Mount’s Western Wall would be required by Orthodox Jewish law to face it, but most face the wall despite the Dome of the Rock being ±15°’s North of the wall. The practice is easily explained because the precise location for Holy of Holies is presently unknown and any place on Mount Moriah’s bedrock monolith, which according to Jewish tradition is creation’s Foundation Stone, could ultimately house it. The speaker of the opening paragraph has no authority to deliver peace from The Temple Mount. However, the validity of the Western Wall prayer may be tested by the emergence of an even more authentic and ancient proposition (see: Deception and Glory) offering hope that a Jewish Temple on Mount Moriah can be realized in peace. If religious authorities agree that the new excavation at the recently discovered site in Jerusalem’s City of David is the penultimate location for the Third Temple’s altar then according to Orthodox Jewish law a sea-change will have occurred. This site, if true, could shift perspective, tradition and reality. The emergence of a peaceful solution from the epicenter of conflict is a characteristic of Jewish thinking and could be persuasive. In such a scenario, it cannot be overlooked that the economic boost from tourism to the City of David may be sufficiently significant to motivate 70,000 of east Jerusalem’s Jordanian Citizens, previously denied Israeli citizenship, to re-apply. 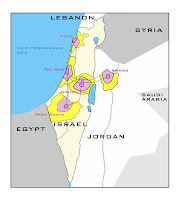 Their efforts to obtain Israeli citizenship or permanent Jordanian/Israeli residency could seriously affect facts on the ground especially at the epicenter and may cause Prime Minister Netanyahu to respond. 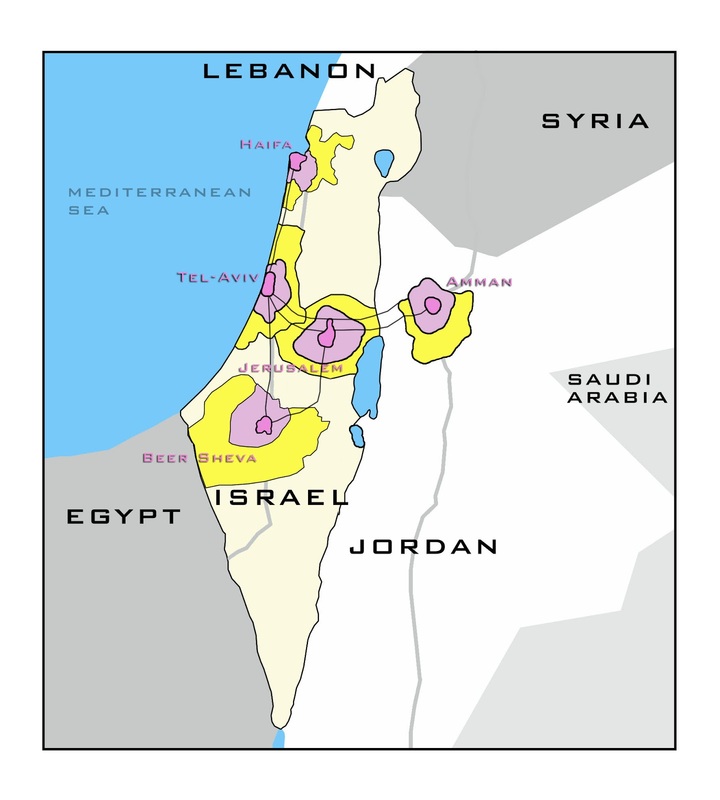 Such a demographic shift could finally put an end to the madness of division and cause an admission that the economic fundamentals of two states is suboptimal to Jerusalem’s constituents and flawed from the outset.